I know when my students are publishing their work on the computers, they often forget these very important typing rules! 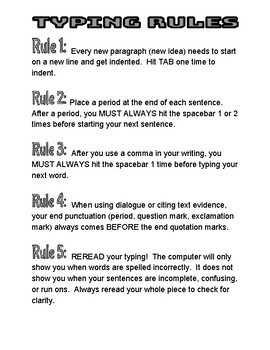 Before they submit and print their final writing piece, make them go through and follow these 5 rules. It will make their finished piece look and sound so much better!